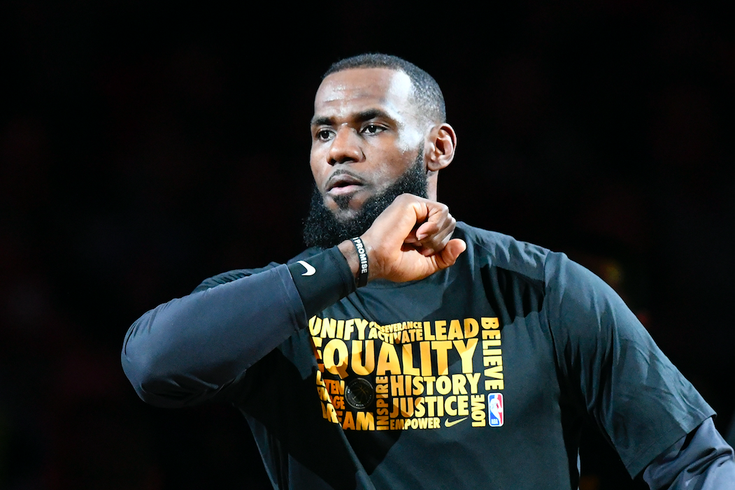 Philly wants LeBron James in a Sixers uniform next season — and it sure sounds like the King found those billboards in Cleveland charming. On Monday, Chester-based Power Home Remodeling installed three ads on I-480, all within a short drive of the Cavaliers' Quicken Loans Arena. The advertisements, officially classified as political, urged the decorated NBA veteran to "Complete The Process" in Philadelphia when he becomes a free agent in June. After a shootaround on Tuesday, James was asked whether he's driven on I-480 in the past 24 hours. "I have not," James joked, "but I know all about it. I know all about it. There's a lot of potholes on 480, gotta be careful with the cars." Then he got serious. The billboards? They aren't a distraction. They're flattering. "It's very flattering that I'm sitting here at 33 in my 15th year and teams — or guys, I don't want to say teams because, you know, that becomes tampering — but people in their respective cities want me to play for them." This may just be the start of a long and aggressive pitch for James to come to Philly over the next several months. It's nice to know James will be paying attention and doesn't seem to mind.